In order to polish your skills as a Natural Historian of Ephemeral Event Phenomena, it is expected you will have a dual practice of reading, reflecting, referencing and glossing on the one hand, and active poietic and philosophical experimentation within the realm of praxis on the other. Contrary to other scientific research where methods and outcomes should be repeatable, in this case you produce Spatial Poetries through the engagement of the Heuristics; they will be different from the ones I produced, but they will be likely resonant. observer, observed, changes over time, time irreversibility. Demonstrating phenomena in their various states a s they are found spontaneously, or contrived through Experimental Poiesis. 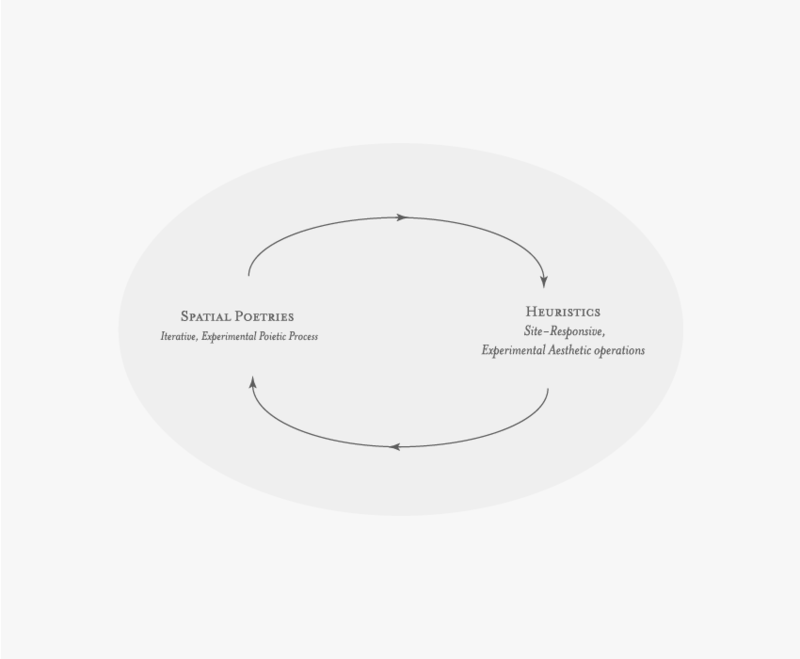 The Atlas presents a framework for observers to actively undertake Experimental Poiesis, a process that includes the iteration of multiple heuristics that include (but are not limited to): Chance Readings, Translation, Trope, and Articulation of the Latent World. This process returns us to Poiesis in its original sense, that of bringing forth into being in a mode continuous with its origins and threads itself back into praxis, the lived life within which Poiesis has the capacity to function. Spatial Poetries detect the presence of Gaps through Indirect Evidence of change and symmetry-breaking. They challenge and confront the tensions between language, awareness, observation, and perception. They explore ways to move between existing language to get to that region prior to articulation, where the unnamed, unconceptualised exists. These are the gaps: in awareness, in language.